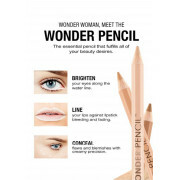 Wonder Woman meet the Wonder Pencil…the essential pencil that fulfils all your beauty desires. 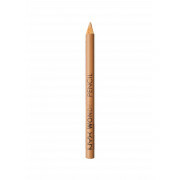 Conquer 3 critical make-up tasks with one product: CONCEAL flaws and blemishes with creamy precision; LINE your lips against lipstick bleeding and fading; and BRIGHTEN your eyes along the water line. A must have, it will soon be your go-to product!